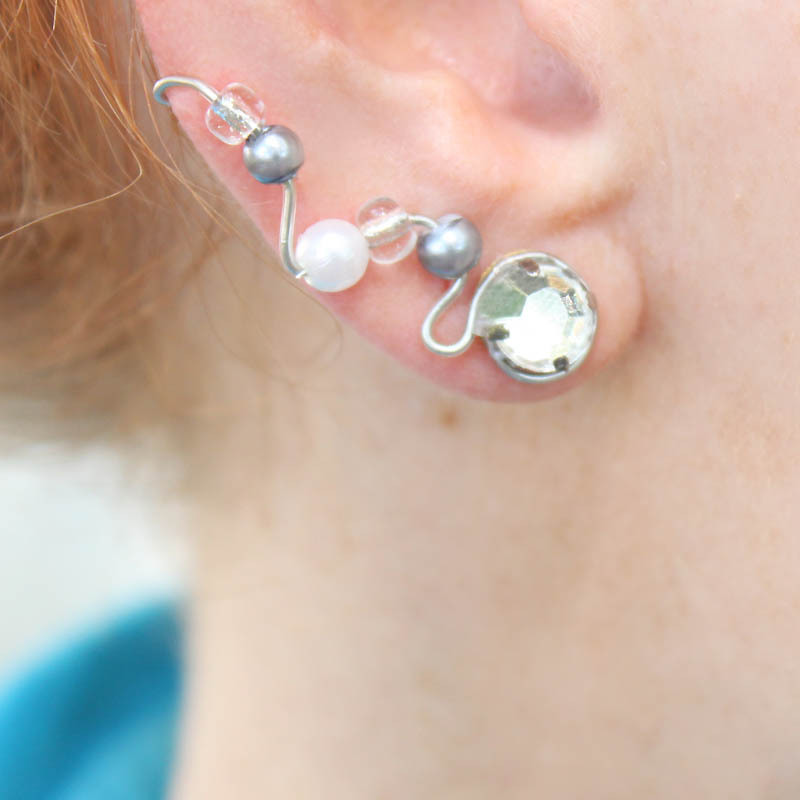 Ear Sweeps (aka Ear Vines/Climbers) are so on-trend right now! 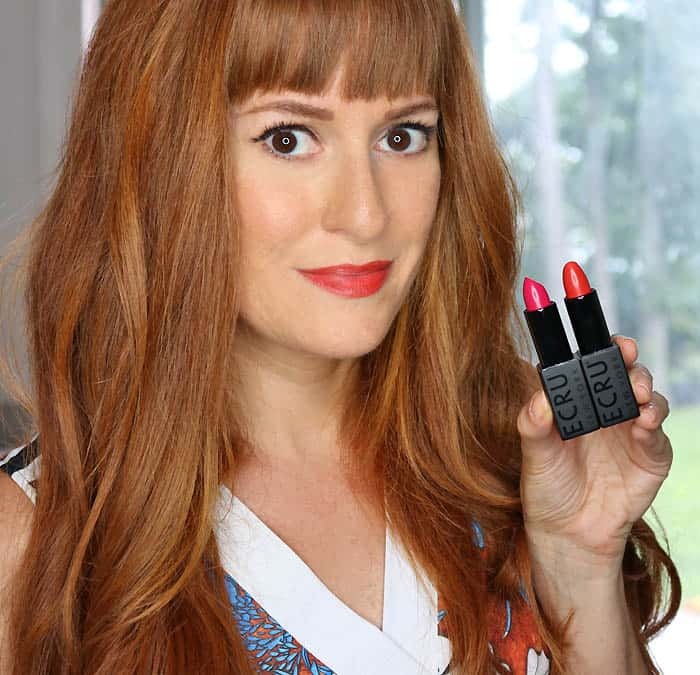 You’ve probably seen them on celebrities, fashion bloggers, and in the pages of magazines. 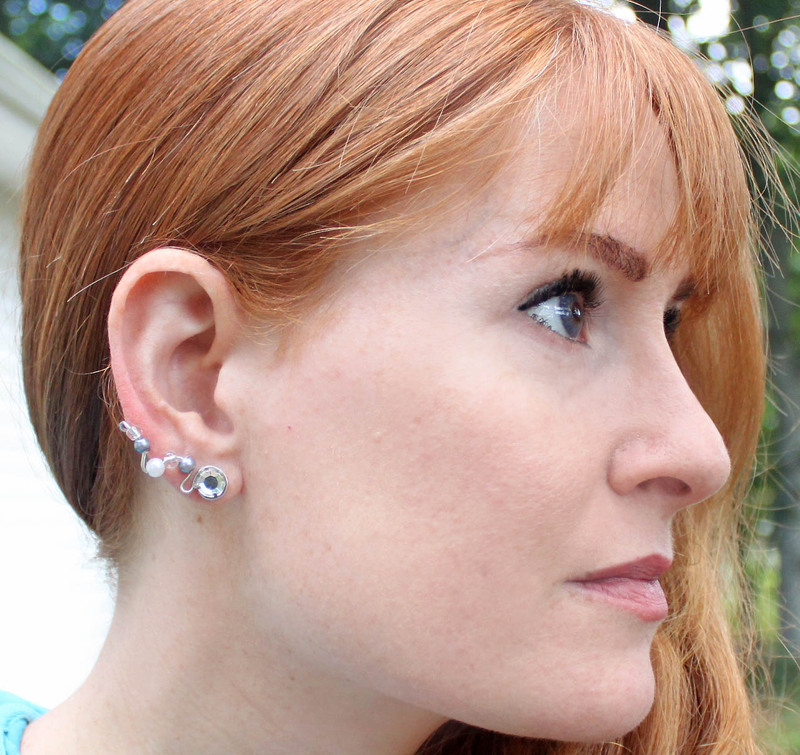 They make a big impact and give the appearance of multiple piercings without the commitment. 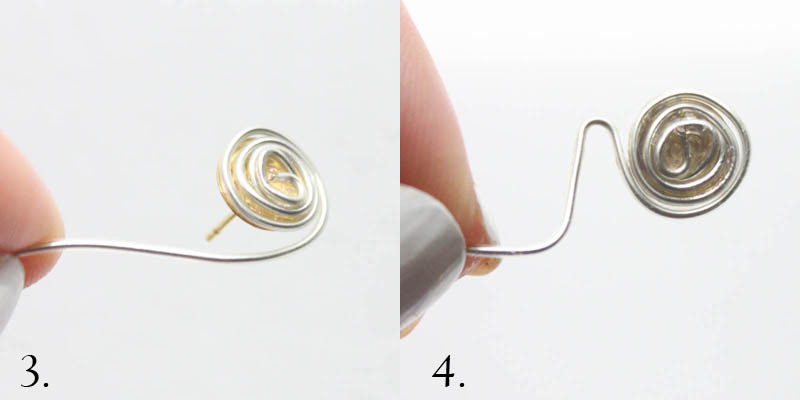 Ear sweeps are easy to make using bendable craft wire. 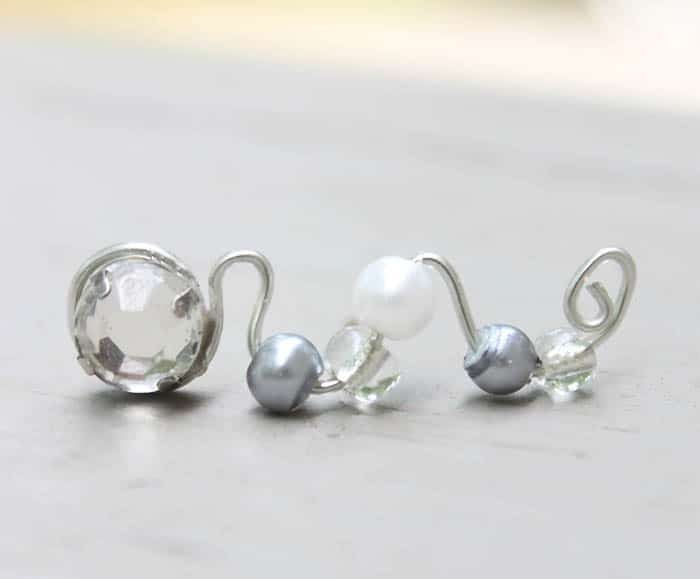 Read below to find out how to make your own Ear Sweep DIY Earrings. 1. Grab the end of the wire with your pliers. 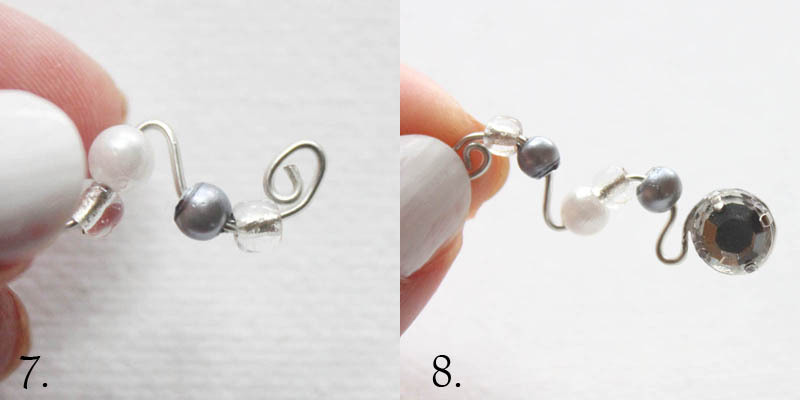 Twist around a 3-4 times to form a spiral. 2. Using your hands, flatten the spiral out. 7. Cut the end of your wire leaving approximately 1 1/4 inches. 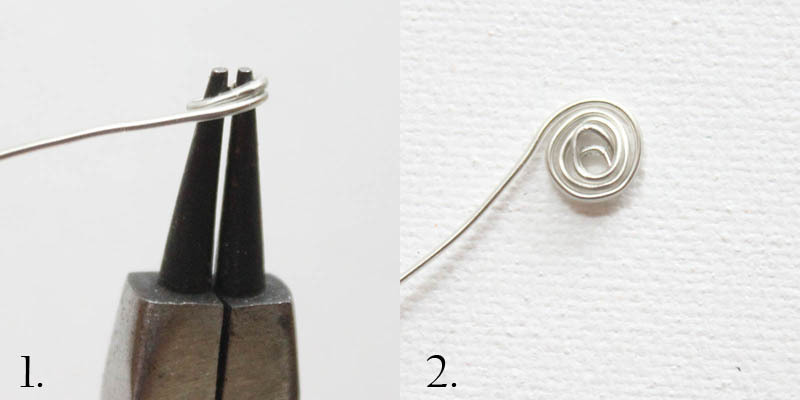 Using the pliers, twist the end in a circle. 8. Glue the rhinestone on to the post to cover up the spiral.